The scheduled tour begins at 9 am. The scheduled tour begins at 3 pm. 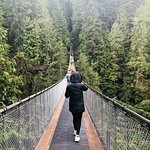 Experience some of Vancouver's highlights on this family-friendly day tour, including stops at Grouse Mountain and the Capilano Suspension Bridge. 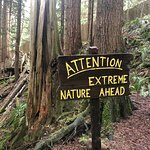 With a small group of just 14 travelers, watch the lumberjack and endangered bird shows at Grouse Mountain. 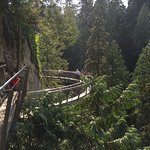 Visit the Treetop Adventure and the Cliffwalk at the Capilano Suspension Bridge. Round-trip hotel transportation included. Begin the day with a morning hotel pickup in a comfortable coach. The group will drive over a true Vancouver landmark, the Lion’s Gate Bridge, a 5,890-foot (1,823-meter) bridge that offers unparalleled views of Vancouver Harbor, English Bay, and beyond. Once across the Bridge and in the North Shore, the tour continues on a short drive up the mountain to the Capilano Fish Hatchery. 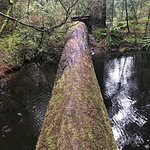 Here you will learn about the life cycle of salmon and, depending on the season (July thru August), watch them as they leap their way upriver. 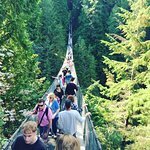 Next, head over to a world-famous foot bridge, the Capilano Suspension Bridge, to walk among the towering trees of the surrounding temperate rainforest and learn the traditions of the Coast Salish indigenous people. Then the group will be guided across the infamous 446-foot (136-meter) bridge to the other side of the river to a climb into the canopy and walk through the Treetops Adventure walkway high above the canyon and river below. 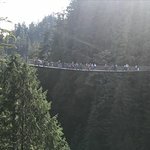 For those seeking a more thrilling experience, try the 'Cliffwalk', the newest attraction at the Capilano Suspension Bridge. This adrenaline-pumping journey travels through the rainforest on a series of suspended walkways built out from the granite cliff face to give the group access to unexplored territories of the park. At Grouse Mountain, the group will ascend into the coastal mountains by gondola and travel to a 3,937-foot (1,200-meter) viewpoint to enjoy one of the best views in Vancouver overlooking the city. In the summertime, walk along the mountain top meadows and witness the world-famous Lumberjack show. Visit Grinder and Coola, two resident grizzly bears and enjoy a 'Birds in Motion' demonstration at the Refuge for Endangered Wildlife. Attend a movie at the 'Theatre in the Sky' before heading back. After this exciting North Shore experience, the group will return to the bus and relax on the drive back to Vancouver. Fabulous place for the whole family! Was in Vancouver for the weekend. We hopped on a feee shuttle from Vancouver one and had the best time! Highly recommend while visiting Vancouver. We were there on a day that was a bit drizzling and still had fun. Just wear appropriate clothing! I love this tour, and Erick (tour guide) was fantastic, fun, positive, respectful and he was so attentive, that he played music from our origin place. Five stars!!! 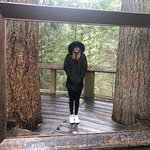 We decided to take the city tour with a stop at Capilano Suspension Bridge, and we are glad we did! The park is fantastic! What a unique experience as you walk across the suspension bridge! The walk among the trees was also great! 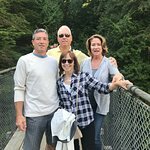 We are glad you enjoyed the Vancouver city tour and the Capilano Suspension Bridge! Vancouver has so many wonderful things to see so please come and visit us again soon! Get quick answers from Capilano Suspension Bridge and Grouse Mountain from Vancouver staff and past visitors. Hi there, my husband and I are visiting from Sydney, Australia in December. 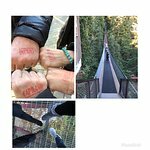 My cousins who live in Prince George said that we have to visit Capilano Suspension Bridge and Grouse Mountain, but we should also stay and have dinner at the fancy restaurant on the mountain. Can this be part of a tour or would we need to arrange the travel ourselves? It’s separate. Grouse Mountain. Capilano. Dinner. 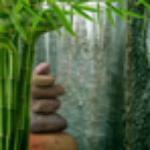 All are separate events.